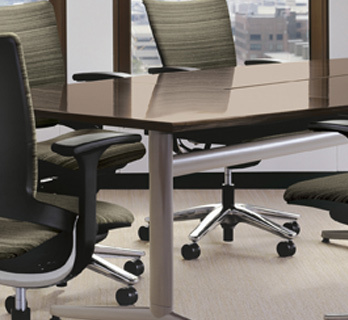 Workplace Solutions carries first class conference room furniture including conference tables, chairs, and modular furniture that lets you hold a training session, then switch over to an oval conference table, work tables, lunch tables, and every other kind of table you’d find in an office or business. 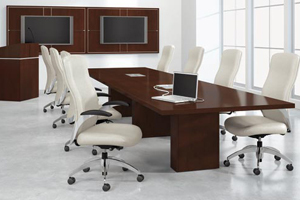 We also have used conference room and meeting room furniture in our used office furniture showroom. 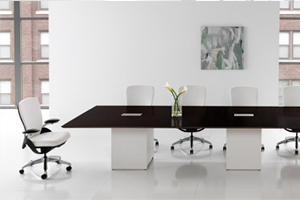 For more information on conference & training room solutions visit our Manufacturer pages below. 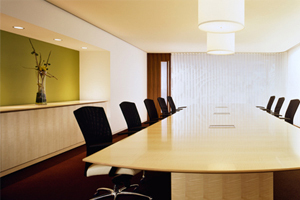 With fewer private offices and more open workspaces, conference rooms take on added importance in the office. They need to be designed to serve a multitude of purposes, from formal client presentations or board meetings, to casual brainstorming and team meetings. 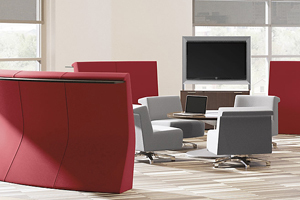 Converge™ seamlessly links workers with technology and each other with its integrated customizable connectivity and vast array of table top and base options. Discover what the world of business has been waiting for: an easier way to connect and collaborate. HON's Preside conference series supports collaboration at all levels of an organization, from private offices to boardrooms. Available in various shapes, Preside tables can be specified in lengths from five to 20 feet or more. Select bases and accessories make it easy for people to connect with the latest technology.